Source: Six Degrees of Separation, Twitter Style. 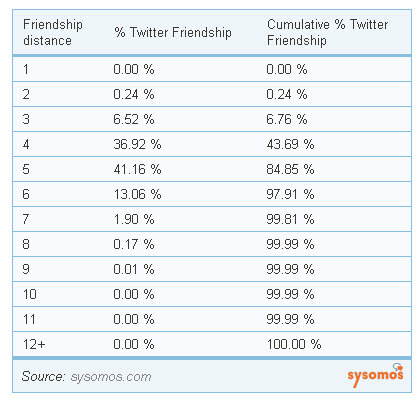 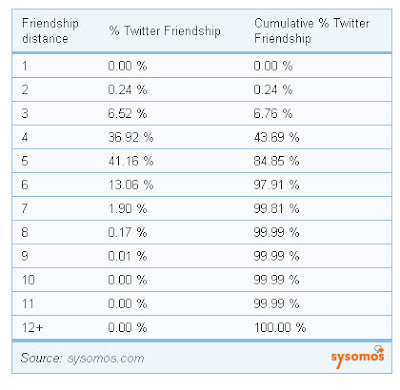 Sysomos, the 'Business Intelligence for Social Media' company "... sliced and diced more than 5.2 billion Twitter friendships (the number of friend and follower relationships) to investigate the connectivity of the Twitter network. 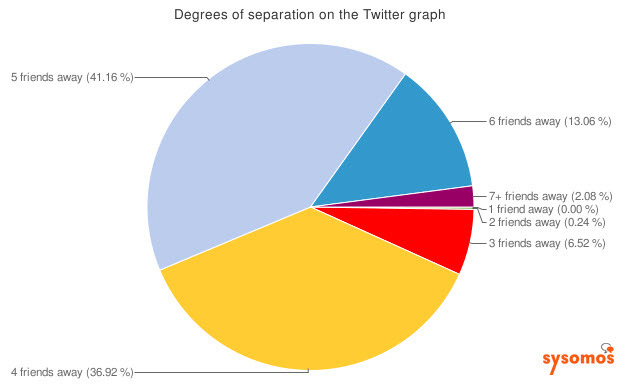 We discovered that Twitter is, in many, ways a network with only five degrees of separation..."